Product value comes from a combination of quality and price. Most consumer products today include similar quality, not the case with organs. 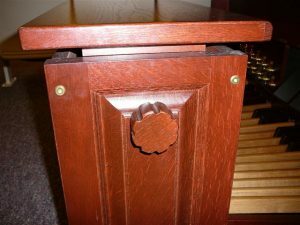 Console Construction – Does the console use reinforced dowel joint construction in addition to screwed and glued cleats for the highest structural integrity? 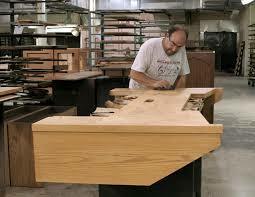 Or, does the console include knockdown-type construction with metal “L” brackets used to hold wood pieces together? The second approach will result in a shorter organ lifespan. In addition, are all wood surfaces inside the console painted (finished) so that they do not absorb moisture that leads to warping? 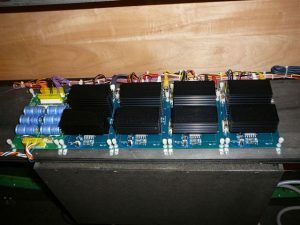 Tone Generation Circuitry – Is the organ’s tone generation circuitry of commercial quality including metal housing for the printed circuit boards and power supplies? 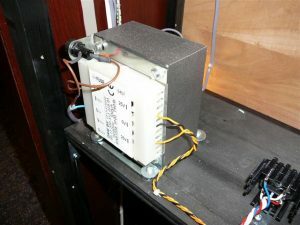 Metal enclosures increase product safety and offer protection to delicate electronic components. 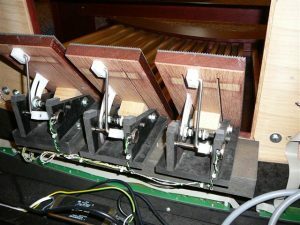 High-voltage Assemblies – Some organ builders take cost-cutting to the extreme by mounting high-voltage transformers and power amplifiers directly on wood. While this may cut cost, it could increase a fire hazard if the circuitry fails. Following are photographs of quality shortcuts found in organs that should be of concern to consumers. 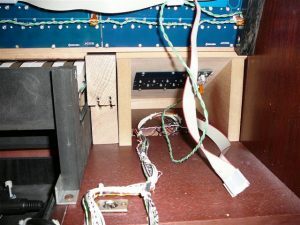 There’s quite a bit of comment about the (supposed) fire-risk of mounting electronics on wood. The conventional protection agains short-circuits is fuses — and they work like a charm. 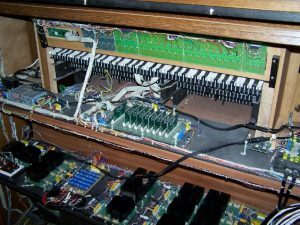 A transformer, due to it’s simep construction rarely fails, and a short-circuit would be an unlikely mode (more likely open in the priamry). So, I’d like to know how many actual fires that are trceable to an organ have ever been recorded. With the benefit of some solid statistics, we can then decide whether this supposed “danger” is actually just FUD (fear, uncertainty, doubt). If one fire is caused by a cost cutting action, it is too many. Should you be willing to take the risk, that is at least an informed decision with the information shared in this Blog.